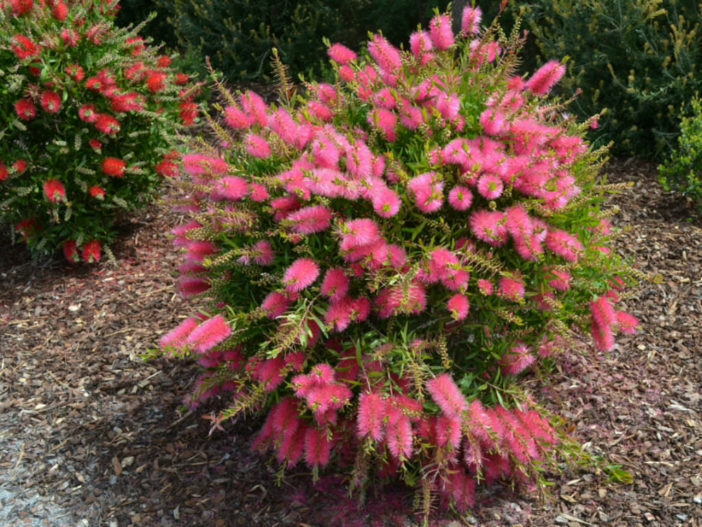 You are at:Home»About Plants & Flowers»What is a Shrub? A shrub or bush is a small to medium-sized woody plant. It is distinguished from a tree by its multiple stems and shorter height, usually under 20 feet (6 m) tall. Plants of many species may grow either into shrubs or trees, depending on their growing conditions. Small, low shrubs, generally less than 6.6 feet (2 m) tall, such as lavender, periwinkle and most small garden varieties of roses, are often termed subshrubs. An area of cultivated shrubs in a park or a garden is known as a shrubbery. When clipped as topiary, suitable species or varieties of shrubs develop dense foliage and many small leafy branches growing close together. Many shrubs respond well to renewal pruning, in which hard cutting back to a “stool” results in long new stems known as “canes”. Other shrubs respond better to selective pruning to reveal their structure and character.